Helvellyn (and Fundraising Target) Conquered. 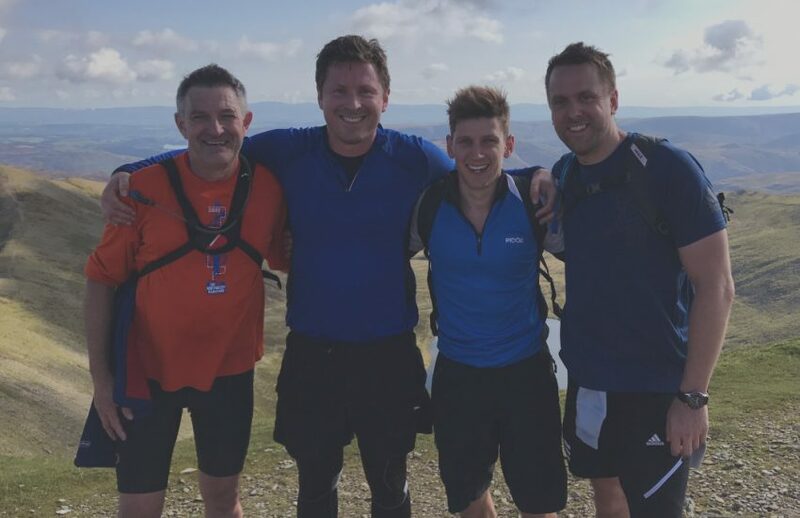 Following the entry of two ‘Stortford Inferiors’ teams into this year’s Lake District ‘Race The Sun Challenge’ we are proud to announce that both teams returned relatively unscathed and more importantly surpassed their fund-raising targets. A bright and brisk 6am start was followed by 8 hrs of huffing and puffing all in the name of charity. The scenery was spectacular, the pace less so, but both teams were spurred on by the generous contributions of our sponsors. A big thank you to all those that donated. 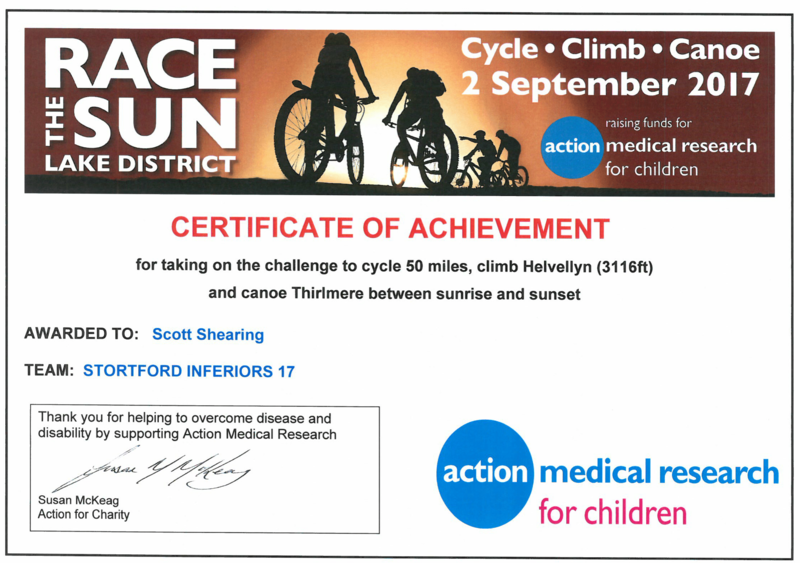 In total we raised £4,480.00 for ‘Action Medical Research for Children’ and we look forward to next year’s event.